The Irish team was absent from the European Championships in Holland at the weekend despite selections being sent in recent years. Ireland has a number of riders hoping to compete internationally, with a clutch of young guns in particular coming through. David Conroy has been competing in Europe of late after his win in the Belfast International. And the likes of Lara Gillespie, Thomas Creighton, Adam McGarr and others having been giving very good accounts of themselves on the home scene. We also have a number of elite riders who will be looking to don the green of Ireland again soon. These include Glenn Kinning, Maria Larkin and also the national champion and U23 road champion Darnell Moore. Britain’s Tom Pidcock on his way to winning the U23 crown at the European Championships. 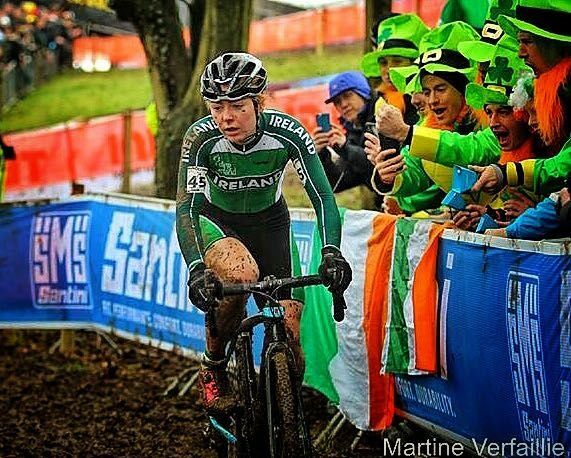 However, while the Europeans may seem like a better fit than the Worlds for a developing cyclocross nation like Ireland, stickybottle has been told the lack of money ensured a team could not be sent to Holland for the Europeans over the weekend. A decent sized team rode the World Cyclocross Championships in Holland last February. And because the cyclocross budget must cover racing in a calendar year, not enough cash was left after the Worlds to make a trip to the Europeans possible. There has been disappointment among the cyclocross fraternity, with a number of sources saying they felt the potential of the scene was being overlooked. 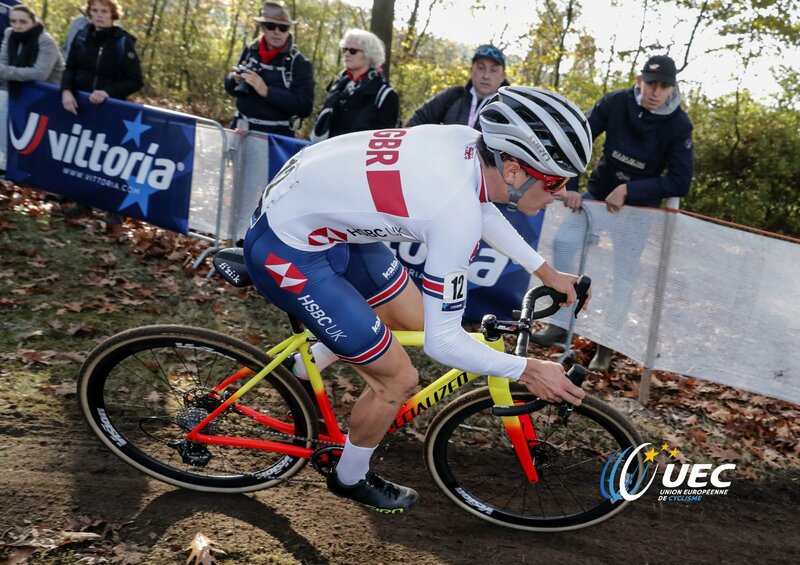 They pointed to the fact the racing was very popular with youth riders, adding it could be used as a means of getting more children into all forms of competitive cycling after first trying cyclocross. The one upside is that the UCI points secured by the Irish riders who place at the recent Belfast International will improve Ireland’s gridding positions at next year’s Worlds. They are due to take place in Bogense in Denmark next February. An Irish team is expected to be sent to compete. 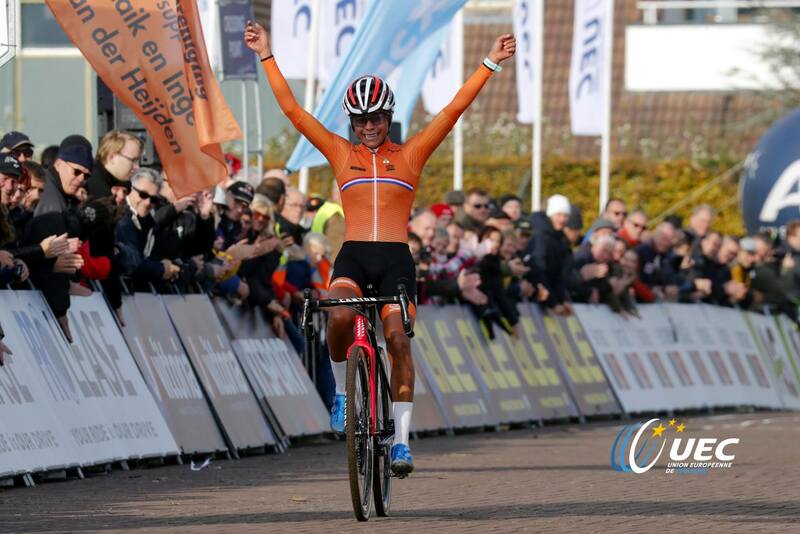 Ceylin del Carmen Alvarado played her part in an incredible championships for the home nation, leading a 1-2-3 for Holland in the women’s U23 race. 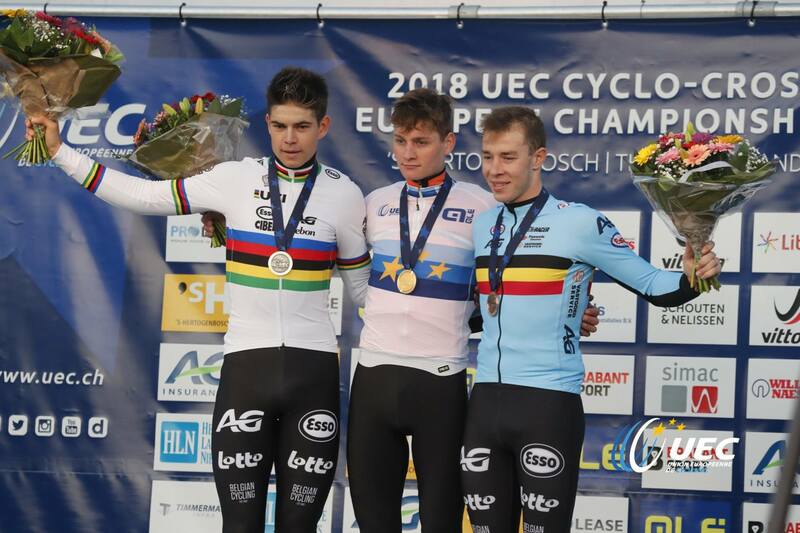 Mathieu van der Poel took the elite men’s title in front of home crowds from Belgium’s Wout van Aert and Laurens Sweeck.